After picking three winners out of four races on Monday, we will return to “The Spa” for today’s “Select” selections. 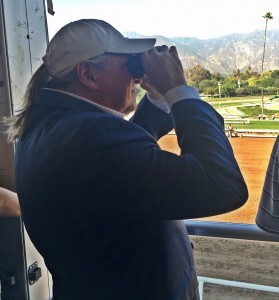 We are hoping that we can have the same kind of success today as we did on Monday, and build some momentum as we finish both the grand meets at both Saratoga and Del Mar later this week and next. 3rd: 5-6-11-4-7-2-3-9…I will focus on the top 3 numbers in this sequence, but I am most intrigued and interested in the first time starter from the barn of Joe Sharp — A Bit of Mischief (5). The trainer is having a super meet here — winning with .28% of the 25 horses he’s started to date. But he also has 5 seconds and a third to join his 7 wins. This one is training OK for the first start, too, for a trainer that hits with .15% of those that debut on the sod. This one cost $115,000 as a Keeneland September Yearling, and the sire is having an unreal good year with his progeny. I like the 9-2 ML odds, and will be watching carefully to see if the money shows up here. Anne Dupree (6) has started six times to date, and is still searching for that elusive winner’s circle. But this daughter of Curlin does have a second and two thirds to show on the resume to date. Trainer is coming off a huge weekend, and will drop into the MCL ranks for the first time. Trainer hits with .36% of those kind out of 11 to do so this year. Interesting. Paddydunalot (11) is a well-bred daughter of More Than Ready, and she has not been close at the finish line in the first four tries. But…There’s always a but, right? She will be dropping to a career-low level here, and she had a super work before the last start. She went so fast on July 28, that it may have taken too much juice out of her on race day, Aug. 2. Trainer has 6 winners in 66 starters this meet, but gets a huge rider switch for this one today. I use. I bet the 5-6 across the board and then box the top 3 numbers in one exacta. I key the top 3 over the rest in a much smaller version. 4th: 1-1A-8-7-3-6…It is really hard to separate the top two numbers in this race, but the good thing is that you really don’t have to — you get them both in the entry. Prognostication (1) may get a slight nod, coming off two straight wins. One of those was in October 2017, and the last came in the 2018 debut here on Aug. 11. Tough to come off the bench that long and draw off to a win. This one did. But the edge may come here because this 5YO gelding can lay a bit closer to the pace and may not have the traffic issues that his stablemate may have to negotiate. Financial System (1A) has never been beaten in two career starts, and has returned here to work even better. This 4YO gelded son of Twirling Candy has one of the barn’s top riders up, as well. But this one will have to find more free space — as he is a late closer. Trainer does hit with .26% with horses that won the last race — and both of them did that. They look much the best here. Herecomesyourman (8) has only one win in 18 carer starts, and that does not bode well for these connections against the likes of the first two. But this 4YO gelded son of Distorted Humor does have a litany of seconds and thirds. He has 6 seconds and 3 thirds, to date. So…I use underneath. I bet the entry to win/place/show — hoping that they both run in the money — and then key the entry over the 8-7-3 solidly. I key over the 6 in a lesser amount. 5th: 3-10-6-8-1…More Mischief (3) was bet down to odds-on favoritism on debut here earlier this meet. Looked really good early on before tiring and running a well-beaten fourth — and losing by 10 lengths. The rose may be off the betting pedal for this spot today, and if they slide up the scale a bit, then this is the time for me to jump on. First, that race was over a sloppy track — which could have impacted that initial run. Second, this one has returned from the race to work well. And, third, this one cost $350,000 as a 2YO earlier this year. This one has ability. May show more today. Midnitesalright (10) is the horse to beat, IMO. This 2YO daughter of Midnight Lute ran third last out in a NY-bred Stakes event. Tired after pressing and making the pace in that one. Trainer, though, wins with .33% this year in 286 starts. He has .22% winners out of 36 starters this meet. And, he has won with .25% of 2YOs this year — from 107 starters. Look for improvement out of this one, too. Chillinwithfriends (6) ran third on debut here over a good track last time out. Was the favorite in that one, and this trainer scores with .24% of those returning after losing as the betting choice. Like the training session here on Aug. 13. Could figure in the mix, too. I bet the 3-10 across the board and then box the top 3 numbers in the exacta. I key the top 3 over the other two in a lesser format. 6th: 8-4-7-10-2-1A…I would normally skip a race of this level because of the degree of difficulty normally associated with these types at this level. But…I really like Sensible Myth (8) in this spot. Despite the layup, the trainer hits with .20% when returning from this type of a layup. Additionally, this one will be dropping out of a Stakes event at Laurel to a Claiming event here today. The trainer hits with .14% of those making the first try at this level. The 3YO filly is training well, too. But the kicker for me is this: In 4 starts at this special sprint distance, this filly has a win and two seconds. The two runner-ups were right there. She easily could have 3 wins in 4 tries. Like this one here. So much, in fact, that she is my first Best Bet of the Day. I bet the 8 to win/place/show and then key the 8 over/under the 4-7. I then key the 8 over the rest in a smaller version. 9th: 8-7-1-9-4-2-5…G3 With Anticipation Stakes…This is a 11/16-mile event over the grass for 2YOs, and it is one of the first times that any of these “babies” are getting to stretch their respective legs for this long a distance. As a result, we shall see who can carry their speed for a distance of ground, and we may be able to discover who can close by going around two turns. Intriguing, adds to the betting strategy and dilemma, as well. I go with Opry (8), who is still a maiden in this Stakes event. This son of Declaration of War cost $180,000 as a Keeneland September Yearling last Fall, but he really came running in the debut race here on Aug. 11 when the rains washed the MSW event off the grass and over to the dirt. I think this one will definitely move up on the move to the grass, and will likely be better with the stretch out from 7-furlongs to the new distance. Fletcher is not having a super meet (by his standards, at the very least), and he has been on a bit of a losing skid, as well. But I think this one, from a Stakes-placed mare who has a turf winner already, has a real shot to improve mightily today. Love the 6-1 ML odds, too. Upset Special for me and another Best Bet, as well. Somelikeithotbrown (7) is a NY-bred, who will be facing open company for the first time. I normally run from these kind, but this one has a huge win over this track and going a route of ground — already. That was the first time getting a distance and a grass surface. This is another who likes to come from the clouds, a bit, too. Henley’s Joy (1) is another from the barn of Mike Maker. This one won on debut at Ellis Park and now gets the ride to NY. (Maybe. He’s been cross entered at KY Downs, too, and the connections may opt for that spot since it’s closer to home.) If he goes today, he will get the blinkers on for the first time and the trainer hits with .19% of those. This one likes to come from off the pace, too, and this field does have plenty of front-end runners to set it up perfectly. This son of Kitten’s Joy could be a sleeper in this group. I bet the 8 to win/place/show and then box the top 3 numbers in the exacta. If the 1 does not go, I would include the 9 in that box. I key the 8 over (only) the 9-4-2 in a lesser amount. I will key the 8 over the 5 in a smaller amount, again.